Wellness like life, is a journey, not a destination. We don’t say “I am well” and then life is perfect. It is a path we attempt to follow by making choices each day. Just as I choose to follow Jesus daily, I make life choices in body, mind and soul daily. Those choices of what I believe, think and do impact me and others. I want my life and the influence it has on others to be positive and encouraging. I do that first by following and living for Him and then by taking care of the soul, mind and body He has given to me. This is part of the inspiration behind the Fall 12 week Wellness Journey. I want to focus on all three areas of soul, mind and body to truly be well and live the life God has planned for me. Wellness Wednesdays will be about mind and body wellness with tips, encouragement and musings on mind and body wellness and its impact on our days. 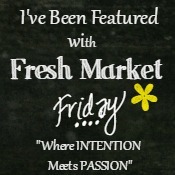 Fun, Fitness & Food Fridays will be about fitness and food ideas, strategies, and thoughts. I’ll also throw in some fun or random items since Fridays should be fun! Soulful Sundays will explore how wellness really begins in our soul and the effect of that in our daily lives. My body word: perseverance-this will truly come into play with my knee surgery and rehab. I would encourage you to pick your own key words to help you focus over these 12 weeks. If you feel inclined to share them with me &/or others, connect with me through email, Facebook or Twitter for encouragement. If not, maybe write down notes for your own reflection in a journal, notebook, on your phone etc. to see how this journey will unfold for you. As Jesus tells us, in Matthew 22:37-38 Jesus replied, “‘You must love the Lord your God with all your heart, all your soul, and all your mind. 38 This is the first and greatest commandment. Thanks for joining me and feel free to share, comment and connect as we go! My goal with this wellness journey is to focus my soul, mind and body on loving God as Jesus commands. When I do that, I am truly well.